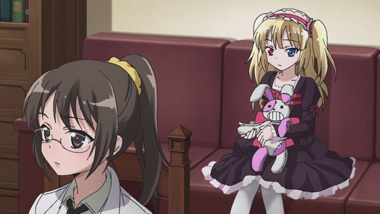 Haganai's protagonist, Kodaka is easily and superficially seen as a delinquent because of his mixed race heritage. His father is Japanese and his mother was English. 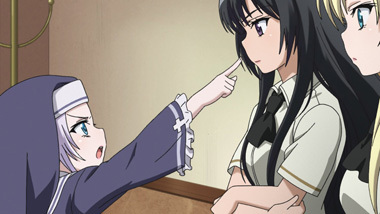 At this time he lives with his little gothic loli vampire-affectionate sister, while his father works abroad. 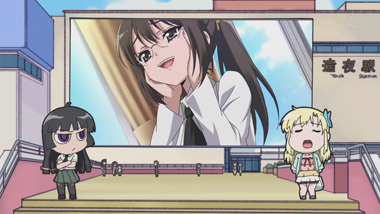 The club's president is Yozora, and she has an imaginary air friend. 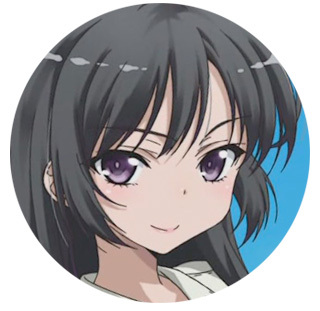 She is not at all willing to interact with other people, and constantly belittles the club's third joining member. 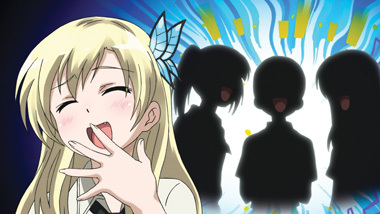 This third member is Sena who is the daughter of the school's president. She is quite voluptuously endowed, and this sets her at odds with finding female friends, which she really wants to make. Reading their interactions definitely portrays both potentially as either live long rivals or the best of friends. In terms of read alike, Toradora for how it is unimportant to judge people at face value or Haruhi Suzumiya, and any other school life plot shows for similar events. 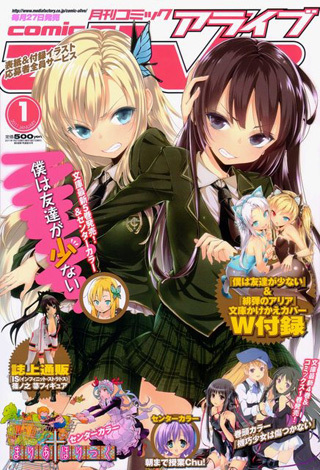 The title Haganai is a shorten version that Hirasaka used of this title's original title. 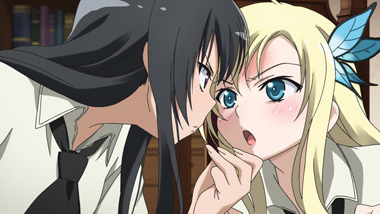 Boku wa Tomodachi ga Sukunai. Under certain grammar situations, Wa in Japanese can be read as Ha. 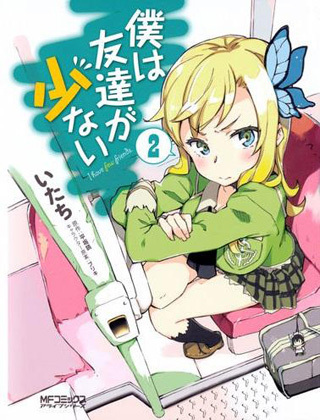 This is a series that is adapted from a light novel series that is created by Yomi Hirasaka. 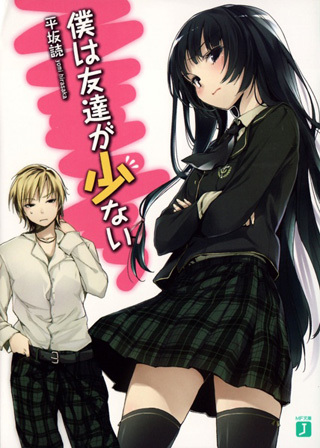 This particular manga drawn by Itachi, follows closely to the original light novel series. 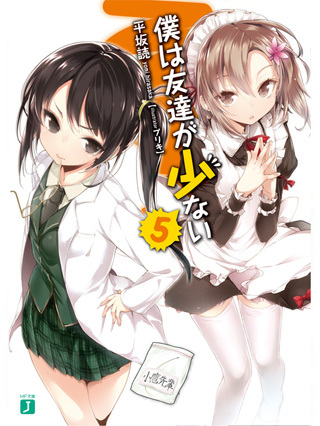 The other manga adaptation has another storyline and is written and illustrated by two different people in Japanese only. 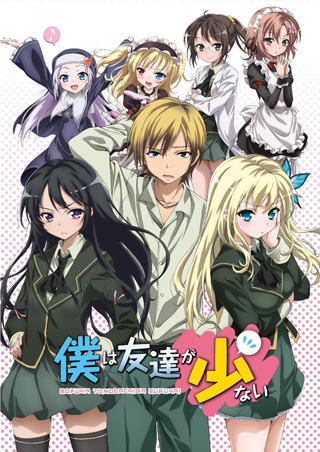 There is also two anime seasons that was adapted from Haganai. 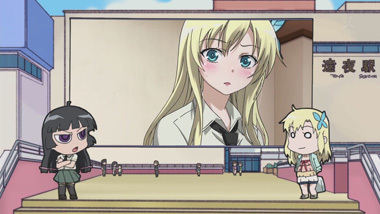 This has been licensed by Funimation. 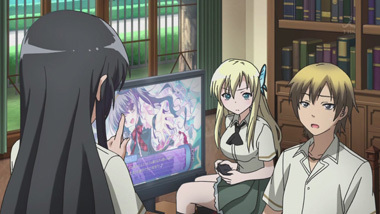 Below: Scenes from Haganai: I Don't Have Many Friends. 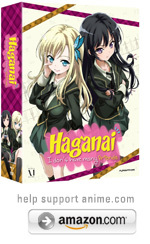 Below: Cover art for posters, magazines and manga featuring Haganai: I Don't Have Many Friends.